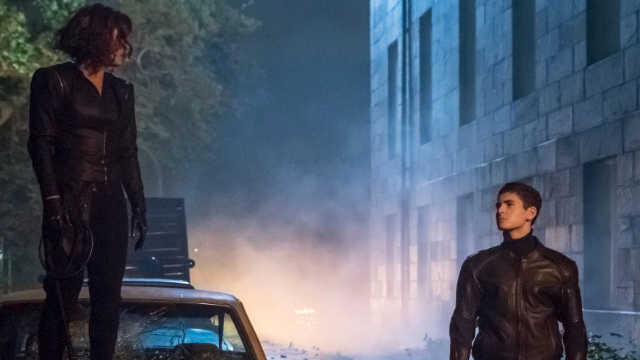 In last week’s episode of Gotham, Bruce found a cure for Selina’s paralysis with the help of none other than Poison Ivy, while Nygma learned more about his fits of memory loss and sleepwalking. Gordon also made an uneasy alliance with his ex, Barbara. 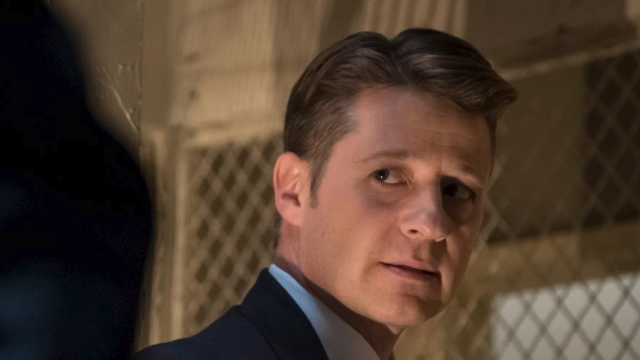 This week, Gotham season 5 episode 3 finds Gordon trying to put an end to the gang fighting in the city. Meanwhile, Selina becomes determined to track down Jeremiah with Bruce’s help. 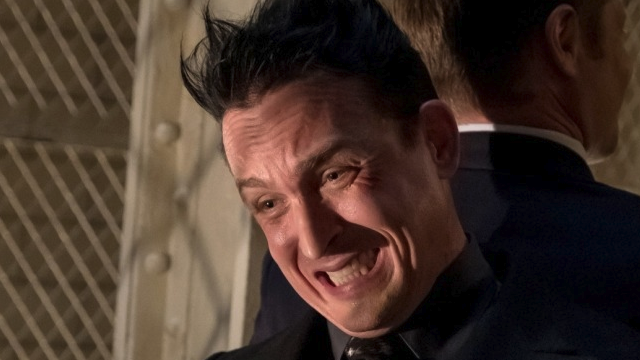 Penguin learns that his subjects are fleeing to Gordon’s sanctuary, which now called “Haven.” The Street Demons attack Penguin, but he manages to deduce that he was set up by someone. Selina has nightmares about being shot by Jeremiah, exiting the hospital bed and emerging on a rooftop in the full Catwoman getup. In Haven, Bullock worries about Gordon’s well-being and Gordon catches up with Bruce, while they visit one of the rescued children who is struggling to adapt. Selena moves around Haven looking for leads on Jeremiah, but Bruce is initially against going after him. He eventually relents, only after Selina kisses him. They talk to someone about “the Dark Zone”, and they learn Jeremiah is gathering a new group of disciples. Meanwhile, Penguin is alone in his hideout. He releases one of the captured Street Demons, and decides to team up with them to take over Haven. At GCPD headquarters, Gordon and his men learn that the Penguin is on his way. In the Dark Zone, Bruce and Selina encounter a man running from a group of thugs who are revealed to be the Mutants. A fistfight ensues, and Selina learns about Jeremiah’s location. Simultaneously in Haven, Gordon and his men arrive just as Penguin and the Street Demons arrive. In the ensuing standoff, the GCPD end up using the rest of their ammo, and Gordon’s men are forced to surrender. Later, Selina questions Bruce’s loyalty after their last encounter. They discover a shrine for Jeremiah, and inside the building they find several of his followers. A hooded, masked figure leads a makeshift sermon for Jeremiah’s flock. Selina confronts the figure by posing as one of them. 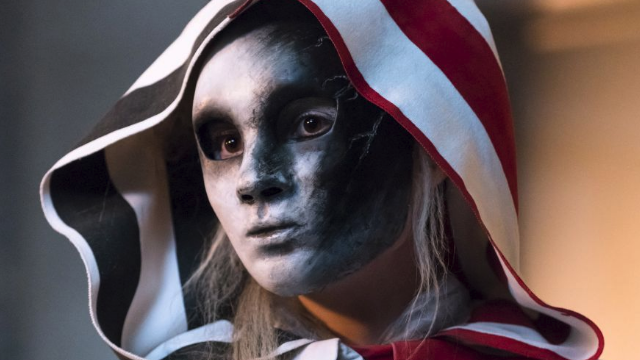 The masked figure is eventually revealed to be Harley Quinn. Back in Haven, Penguin locks Gordon in a cage, but the tables are turned when the Street Demons also betray Penguin and cage him as well. Bullock visits Barbara looking for help in saving Gordon, which she agrees to do when she learns that Penguin is involved. In the cell, Gordon and Penguin argue about their differences. The child from earlier sneaks a means of escape into the cell, and the two must reluctantly team up to escape. Back in the Dark Zone, Bruce discovers dozens of dead bodies somewhere in the building. Harley questions Selina’s mettle, and she agrees to take part in what we learn is essentially suicide ritual using revolvers. Bruce hears gunshots back in the Dark Zone. He goes to find Selina, while Harley confronts her. A fistfight ensues between the two, and Selina nearly kills Harley. Bruce arrives at the last second, urging her to spare Harley’s life. She narrowly escapes as a result. In a fit of rage, Selina handcuffs Bruce to a metal grate, leaving him behind while she goes after Harley. Back in Haven, Gordon and Penguin confront the Street Demons with the latter killing their leader. As the citizens gather around, they begin to chant Penguin’s name in celebration. Later, Gordon gives an impassioned speech about survival to the civilians, and the child sides with Gordon. Gordon thanks the child for helping him escape, giving him a GCPD deputy badge. Outside, Penguin and Gordon make amends, but Bullock and Barbara arrive. As Barbara tries to enact her revenge against Penguin, a bomb goes off the surrounding complex. Shocked, Gordon presumably witnesses the death of the people he just spoke to before the episode cuts to black. 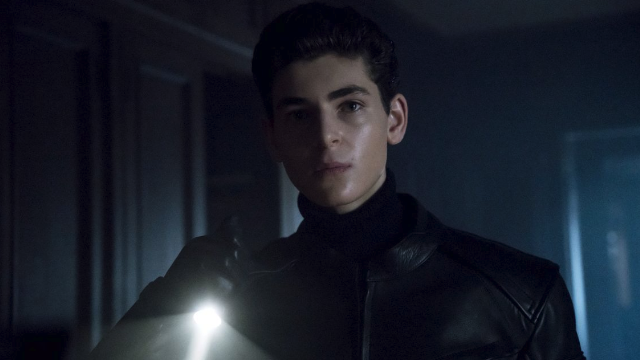 What did you think about Gotham season 5 episode 3? Let us know in the comment section below!